Luxe.Co Exclusive Interview with Markus Freitag, Co-Founder of FREITAG | How to use ‘old truck tarpaulin’ to conquer global fashion trendsetters? On a global scale, fashion is increasingly associated with environmental protection, public welfare and sustainable development. Many of the new generations of entrepreneurs start with this, positioning their brands and creating new fashion concepts. However, creating a benign and operational business system while adopting these ideas is still a huge challenge for every brand. We all hope that products with eco-friendly attributes can truly integrate and even lead the fashion trend, and consumers are willing to pay and spread this concept spontaneously. 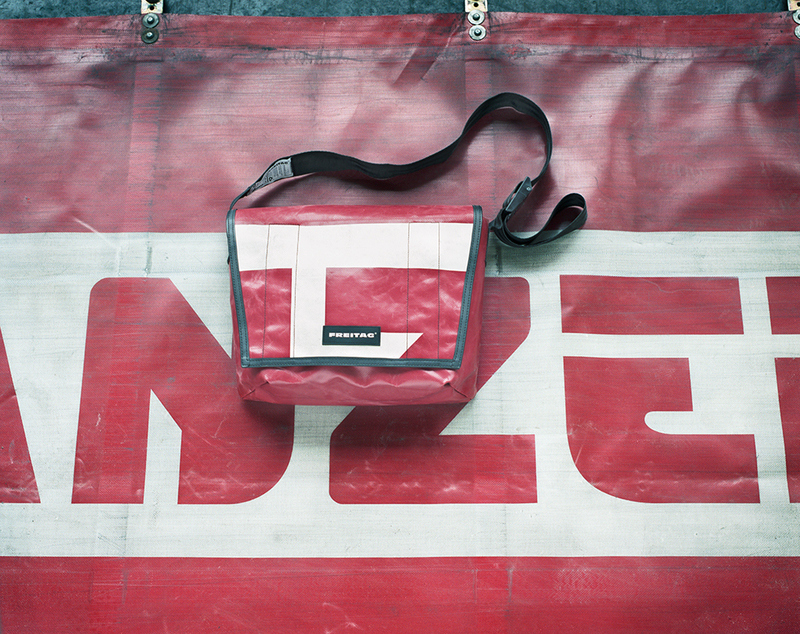 The originator of environmental protection bags, FREITAG is from Zurich, Switzerland. The brand merged “green” and “design” as early as 1993, attracting a large number of loyal fans around the world. It is one of the most successful examples of “eco-friendly fashion”. Currently, FREITAG has cooperated with retail stores in Shanghai, Beijing, Hangzhou, Chengdu, Guangzhou and Shenzhen. September 26th 2018 was the 25th anniversary of the brand. FREITAG opened its first China store in Shanghai, operated by local retail partner Harbook+. Recently, Luxe.Co had an exclusive interview with Markus Freitag, co-founder of the FREITAG brand. He shared with us the stories behind this Swiss bag brand. FREITAG was founded in 1993 by the two brothers, Markus Freitag and Daniel Freitag, in Zurich Switzerland. At that time, the two brothers were students of graphic design. Usually, they had to carry a lot of materials while travelling on bicycles. They wanted to make a durable and waterproof messenger bag for themselves, but they could not find the right materials. One day from their apartment, the two brothers saw many trucks on the nearby highway. The sturdy and waterproof tarpaulin covers used by these trucks were in line with their needs. They immediately had the idea of making bags with old truck tarpaulins. Soon the brothers found several old truck tarpaulins that were no longer used by truck companies. They also used old car seat belts and bicycle tires as straps and piping, respectively, to make the first FREITAG backpack in history. This sample kit is now in the collection at the Zurich Design Museum. Markus Freitag told us that under the influence of Switzerland’s long-standing recycling culture, the brothers had a habit of recycling waste to make new things. This habit had laid the foundation for their later creation of FREITAG. 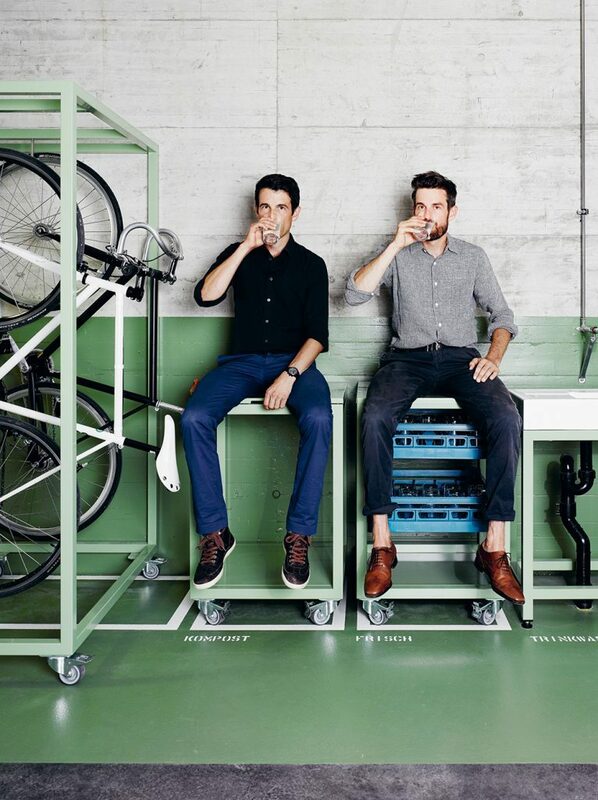 Since its establishment, FREITAG has always adhered to the core concept of “bicycling” and “recycling”. Until today, FREITAG still insists that each package uses waste truck tarpaulin as raw materials. Markus Freitag thought that collecting the material itself was a challenging task. In order to collect the waste, the company has set up a dedicated team. Each year, they travel from Sweden to Portugal, collecting colorful old truck tarpaulins along the way. 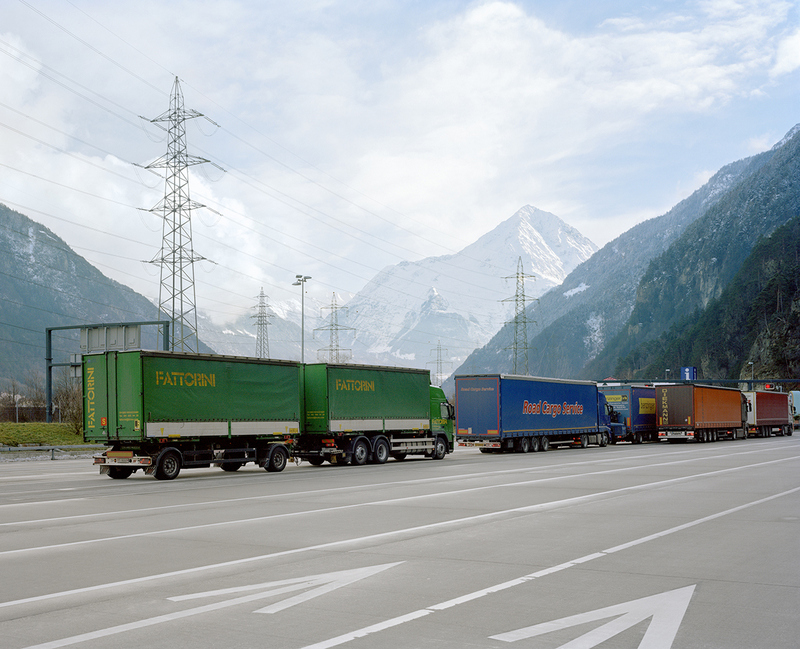 Currently, FREITAG has a target annual production of 450,000 pieces, and the annual collection of old truck tarpaulin materials is around 460 tons. After cleaning, the fabric is cut by the design department, and sent to the production factory where they were tailored ​​into sturdy and durable products. “The cutting of each bag is done freely by the designer. Therefore, each FREITAG is unique in the world,” ​​said Markus Freitag. 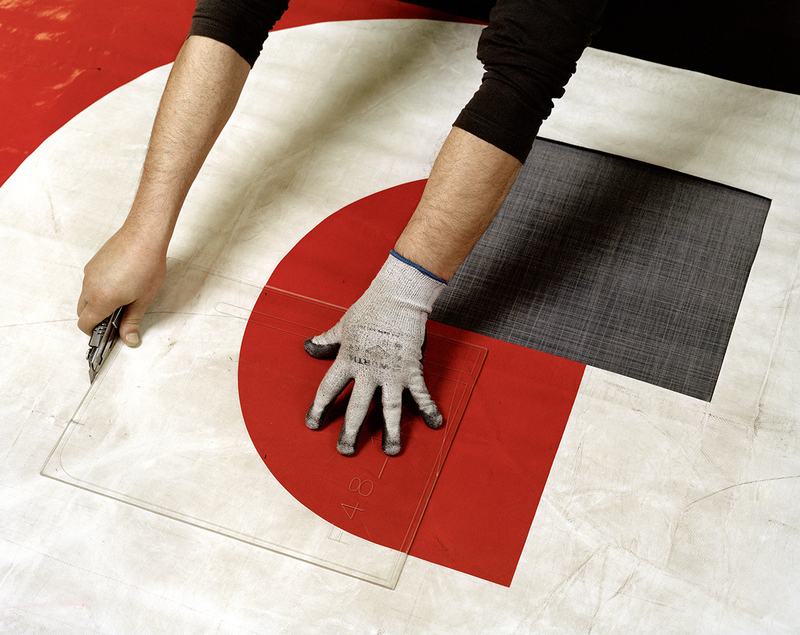 In addition to its unique appearance, each of FREITAG’s bags undergoes a series of rigorous quality checks before they are finally sent to stores to ensure the durable quality of their bags. 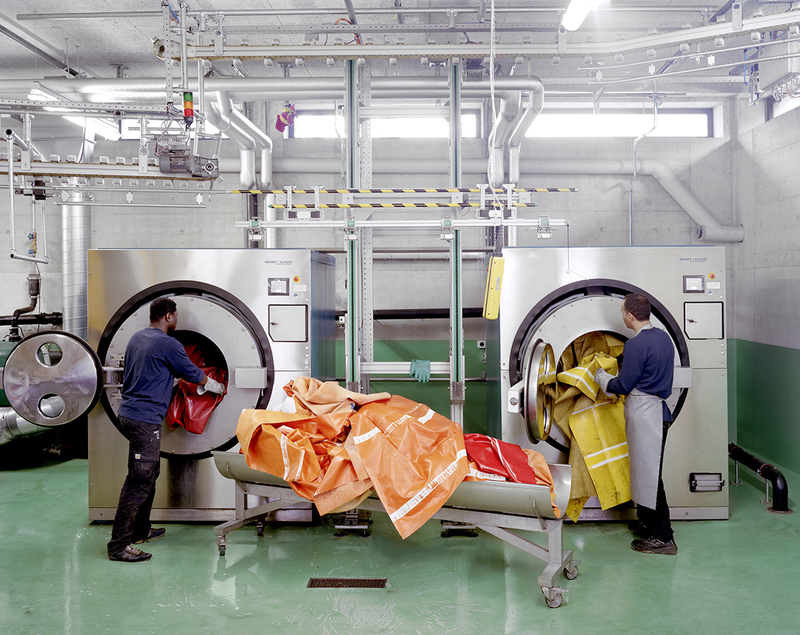 In 2014, to expand the scale of its sustainable business, FREITAG also launched a small garment line called “F-abric” which focused on the degradable fabric. 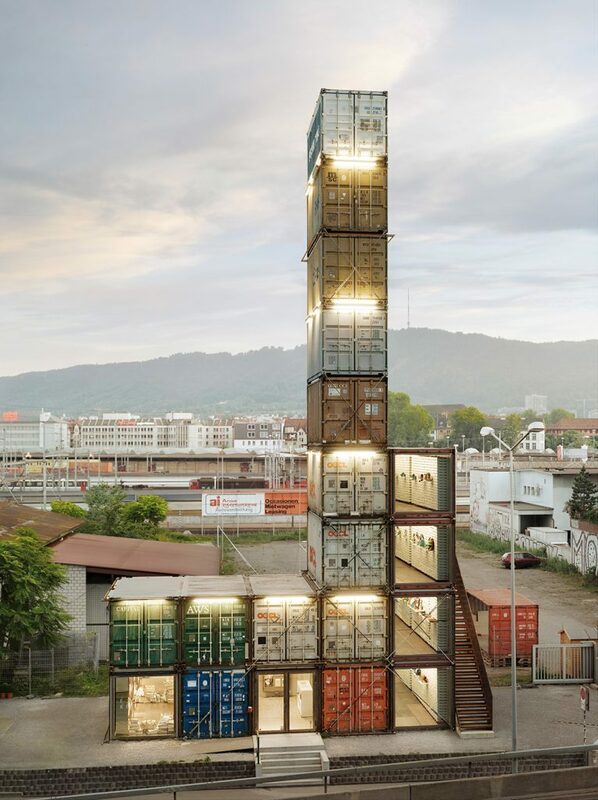 FREITAG’s flagship store in Zurich is built from 19 abandoned containers and has become a major landmark in Zurich. The flagship store is undoubtedly another inspired symbol of the FREITAG brand spirit. After 25 years of development, FREITAG has 200 employees, 23 brand stores and more than 400 retail partners around the world, making it a must-have item for many environmentally-conscious trendsetters around the world. By searching “FREITAG” on social media such as Instagram and WeiBo, we can find many photos about the bags. Many followers even shoot a photo next to a real truck that has similar pattern to their FREITAG bags. In addition to the spontaneous activities organized by followers, FREITAG also organizes regularly creative events in different cities around the world. 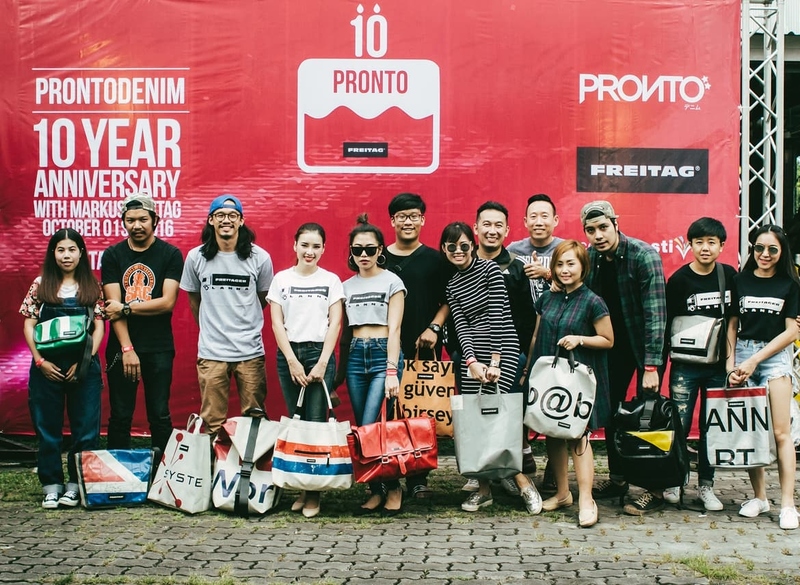 In 2015, FREITAG held the “#ShanghaiInYourBag” official gathering in Shanghai. The owners of FREITAG bags participated in the competition by uploading the photos of items inside their bags to Instagram and hash-tagged #ShanghaiInYourBag. Markus Freitag also showed up in the event. Such events have strengthened the brand communication with followers while enhancing brand loyalty and attracting new fans to the community. Luxe.Co: Many people define FREITAG as a street fashion brand. How do you define the brand? Freitag: Freitag is definitely a city brand, but it’s higher-end than street fashion. Luxe.Co: In the future, do you have any plans to do cross-over collaboration with designers or launch limited editions? Freitag: I won’t consider collaboration at least for now, because there are still many stories in the brand that I want to convey to consumers. But in the future, there could be opportunities. Collaboration with other brands can be more complicated, and it involves a completely different structure between brands, which is also a challenging task. Luxe.Co: Will FREITAG enter China in the future? Freitag: In the future, we will open more retail stores in China, as well as offering online channels. We are now considering finding relevant partners to set up online stores. Luxe.Co: Are you considering looking for an operation partner in China? Freitag: Not yet. At this stage, we still intend to take charge of the operation by ourselves, but we will not decline the option if it is possible in the future. It is also important to find a partner who understands our brand and shares the same philosophy.